The sun came out on cue for Remy and Brittany as they exchanged vows on Sunday. The ceremony featured a Pink Velour Crepe Myrtle for the tree planting unity ritual and a favorite passage from The Princess Bride. Brittany showcased her peacock tattoo with a simple yet stunning backless lace and tulle gown. 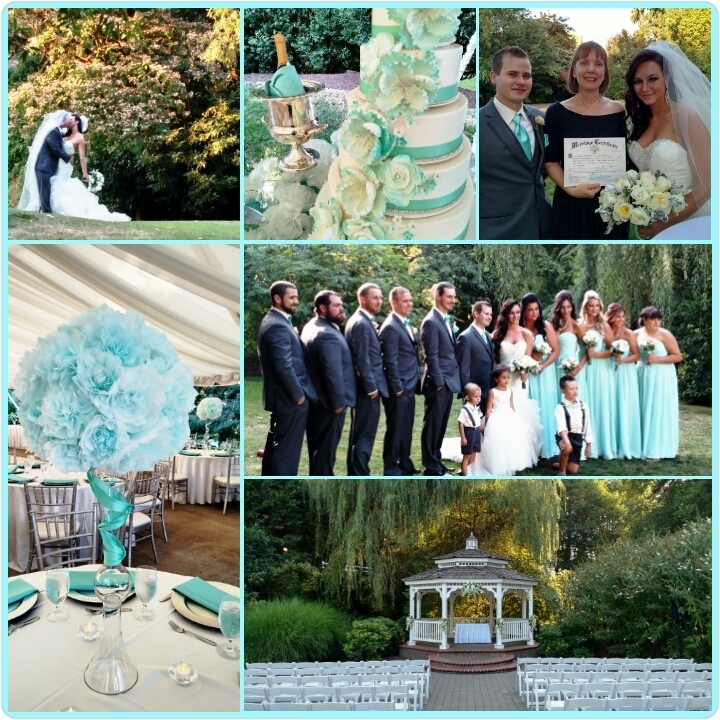 Attendants wore turquoise and gray. After the ceremony, guests enjoyed the Abernathy Center‘s winning appetizers including coconut shrimp and crab cakes. A full salmon buffet and a cupcake tower from St. Cupcake completed the event menu. Photographer, Kieran Morgan, captured beautiful moments in the garden setting and fun times on the dance floor. The newlyweds will honeymoon in Mexico before returning to their Portland home where Remy works as a commercial carpenter and Brit is a makeup artist. 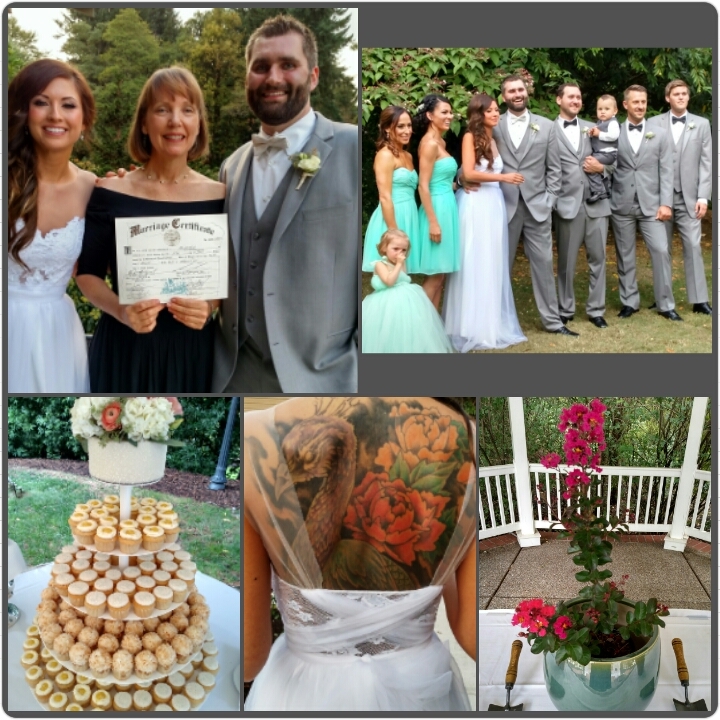 Congratulations, Mr. & Mrs. Renwick! The world is enriched by your true love.